Based on lots of reader questions coming in recently, I’ve been on a bender researching bathroom floor tiles. 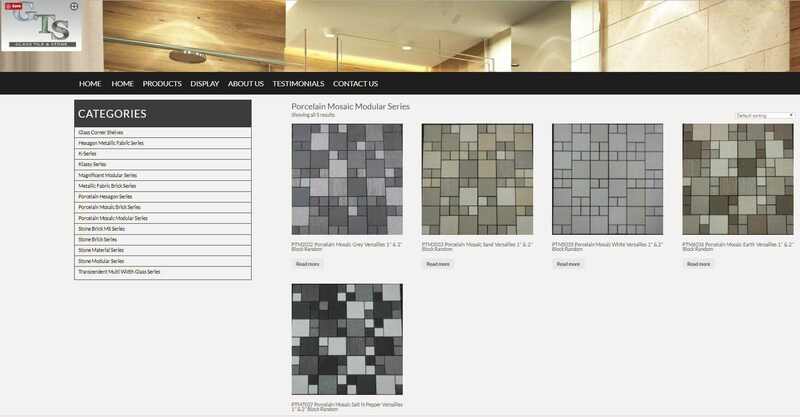 These random block porcelain mosaic floor tiles from GlassTileStone look like they could work well in a midcentury modern bathroom in a house that is being given a contemporary twist. 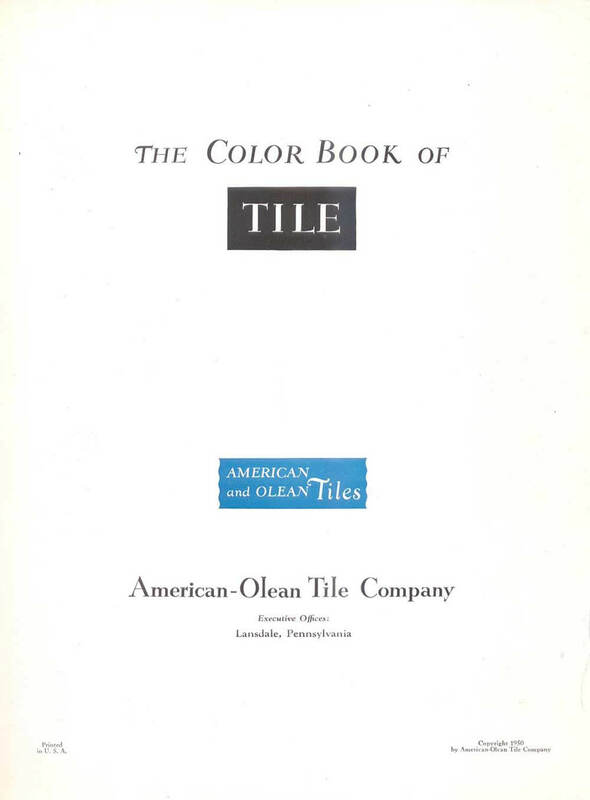 Not in a midcentury modest or a faithful midcentury modern restoration, though, I think — because it looks like the 2″ x 2″ tiles have a metallic sheen. Random block mosaic floor tile — one of my favorite bathroom flooring styles! I favor the White Versailles, with medium-gray grout. If I had an earthy happening 70s pad, you might get me to consider the Earth. 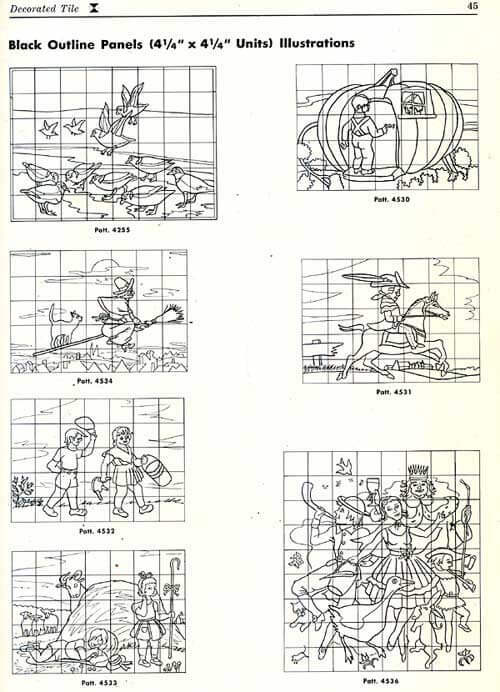 I also liked inspecting the GlassTileStone Versailles tile design because it shows how to combine 2x2s and 1x1s. There are no 1x2s. Moving forward I am adding to my list to research and if I can really get my act together, test, how to put together your own random block designs mixing and matching tiles from all the different makers. 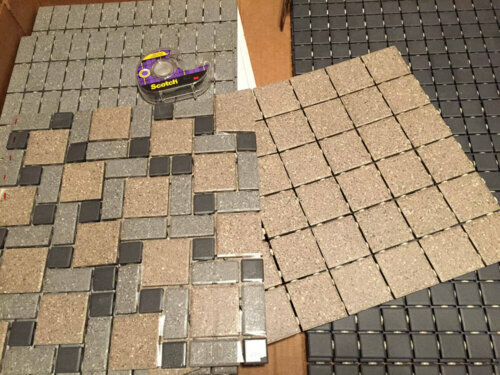 That is: Different tile makers have different colors, different materials, different sizes, and different finishes, of small tiles that could potentially be remixed together into new random block color combinations. Can I really get them to fit together? 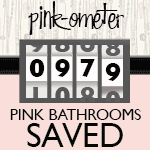 If so, this could offer intrepid Retro Renovators more color possibilities for their bathrooms. *sometherapy* for sure, to piece together your own mosaics. But we did have one reader — Nicole — who bought different sized sheets of Daltile tiles and put them together in a random block design in order to avoid the 10-week lead time if you use the Daltile Mosaic Pattern Designer. Insanity or dedication? That’s her quote, above. Gold stars to Nicole for both effort and execution! See all my bathroom tile research here. Can Nicole breakdown the colors/numbers and size? Go to the story about Nicole’s project (brite bold blue links are hotlinks_ — there is an image in it that you can enlarge on screen with that info. It would be like OCD me to buy the white, then try to paint the little 1x1s in pink to match my Gracelynn and toilet. 😉 Glad the bathroom is traditional size. I probably won’t do it, but I can keep the idea in the back of my “I don’t care if it takes forever as long as it turns out great” mind. Thanks for always posting the latest finds. I love Nicole’s floor, but I must say that the 10-week lead time doesn’t seem so bad when I consider how long it would take me to make my own pattern and lay it down. 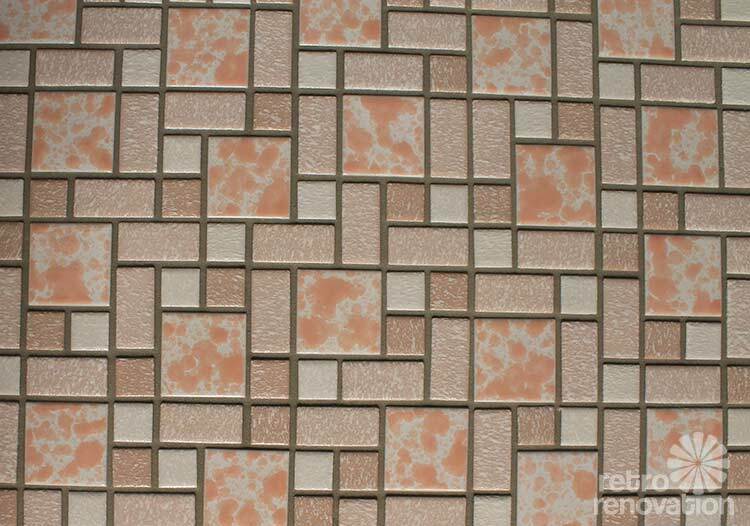 I found a good option on Wayfair, similar to the Merola tile found in an earlier story. Called ‘Academy’ by ‘EliteTile.’ Was needing something to replace a trendy river rock floor a house flipper used before he sold me the house… I really wish I had seen it before he did the remodel, as the neighbor told me the original owners hadn’t done much to it since 1958. I am thrilled, however, that he left all the original windows, mid century random stone block fireplace and carport (! ), original floor in the downstairs sea foam green bathroom (so I know my new tile matches what once was likely there), and original vanity in my Mamie pink bathroom.